Sugar snap peas are all tucked into the ground, in hopes there will be garden grazing at the end of May. There were a few weeds growing in this year’s pea bed, but not too many. I top-dressed this bed with compost last fall. 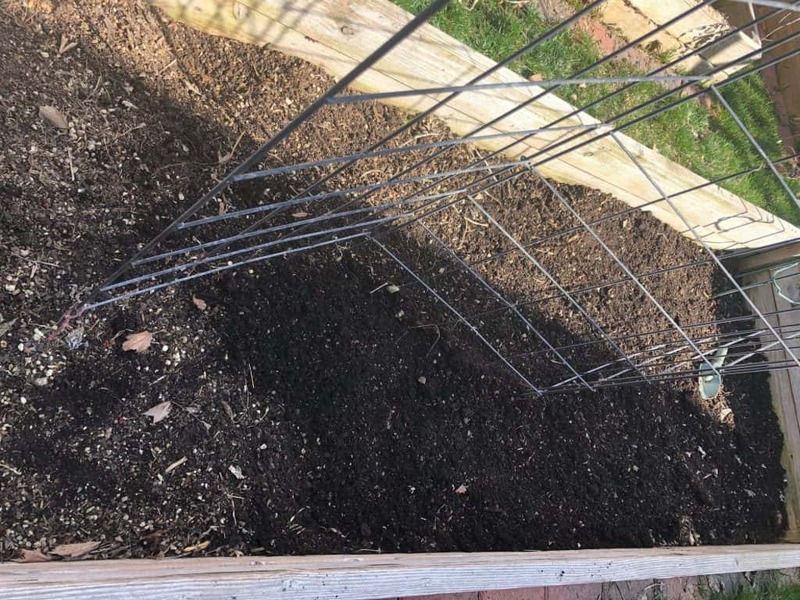 I’ve had a reusable pea fence for 12 years or so. 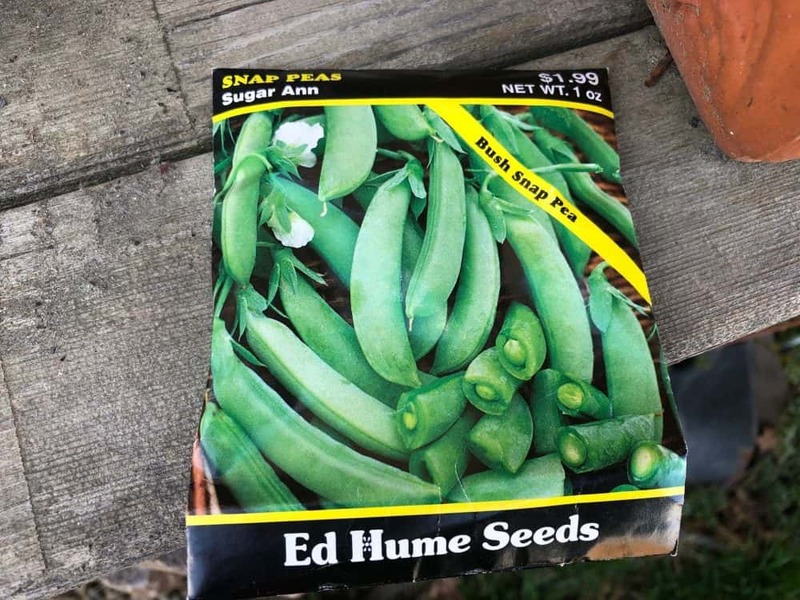 Even though I am planting “bush” sugar snap peas, they still flop over without support. 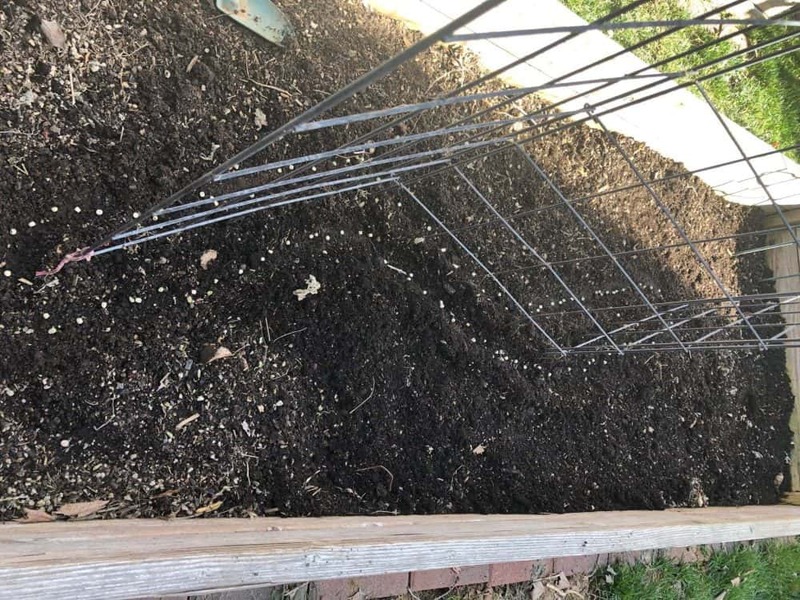 The directions on the seed packet say to bury the seeds one inch deep, space the seeds about two inches and space rows two feet apart. I didn’t follow the rules on the packet. I never do. The peas will bring me snacks anyway. The most important part in all of this is the tulle. I used orange this year. What is tulle? It’s a decorative netting used in sewing and crafting. 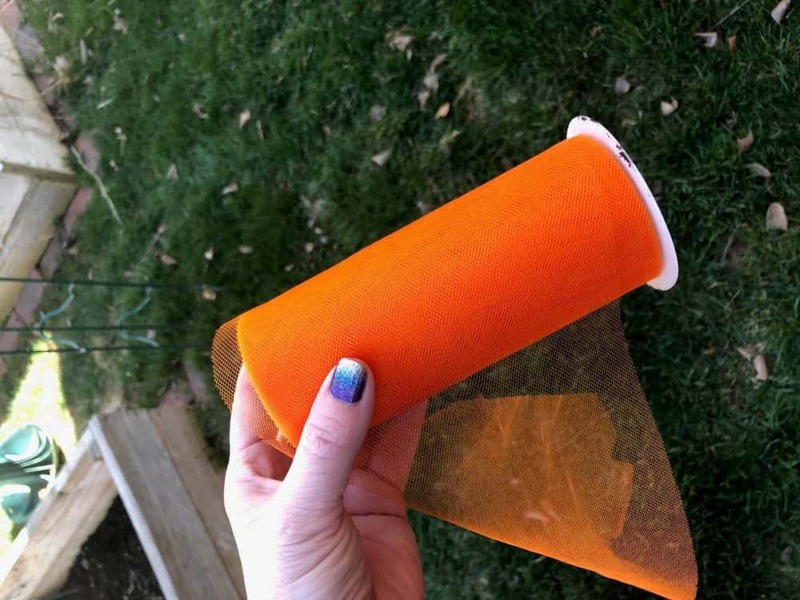 Inexpensive and many color options. Some are embedded with glitter! It makes the garden bed look pretty and more importantly, keeps birds from eating the pea shoots as they emerge from the soil. Trust me on this. Birds can ruin your crop. 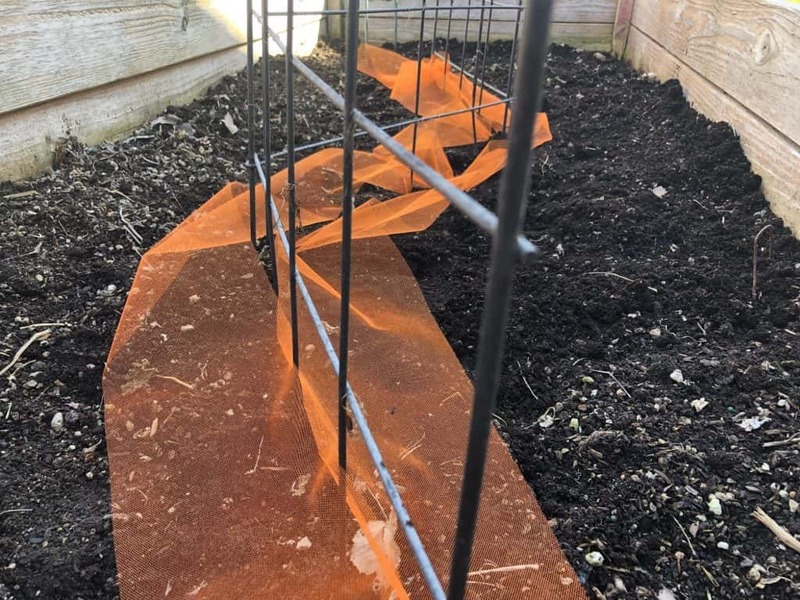 I drape it lightly on the soil and secure the tulle with landscape pins and by tying it to the pea fence. As the peas sprout and grow strong, they will push their way around the tulle. By the time they do that, the birds no longer want to peck them to death.